If you missed participating in the advanced ordering process this year by buying a pass or coupons, you can still get tickets to films at the festival. As of August 26, you can purchase tickets to gala showings online, by phone, at the year-round box office, or at the festival box office. If galas are listed as being "off sale", check back at a later date to see if additional tickets have been released. As of September 6, you can buy tickets to all films at the festival, subject to availability, online, by phone, at the year-round box office, or at the festival box office. Tickets can be purchased by these methods up until 7:00 PM the day before the showing. If a movie has not been sold out by the day of the showing, then remaining tickets will go on sale that day online, by phone, at the year-round box office, at the festival box office, and at the theatre showing the film. If the film is sold out, you can still join the rush line outside the theatre the day of the screening. If ticket holders don't show up on time the festival releases the tickets for sale to people in the rush line. Also, sometimes people who already have tickets or extra tickets may come by the rush line to sell them. I've done this before when I've screwed up in scheduling movies and I can't make the showing, or some people may just be too tired to see another film and want to get rid of their tickets, or some people may have friends who can't show up and they need to get rid of their extras. Consult the official festival web site for details on locations and times where you can purchase tickets. Once again, note that except for galas, you can't purchase tickets until September 6. And since Visa is the exclusive credit card of the festival, if you're not paying by cash, you'll need a Visa card. For the remaining gala presentations, the online ordering site has notes saying the performances are sold out, but to "continue to check back as new inventory may become available". That would seem to imply they may release additional blocks of tickets at a later date, although they don't specify when that might occur. That could be days later, or even after the festival actually starts. A reminder that tomorrow (Friday, August 25) is the last day on which you can buy passes and coupons for this year's festival. 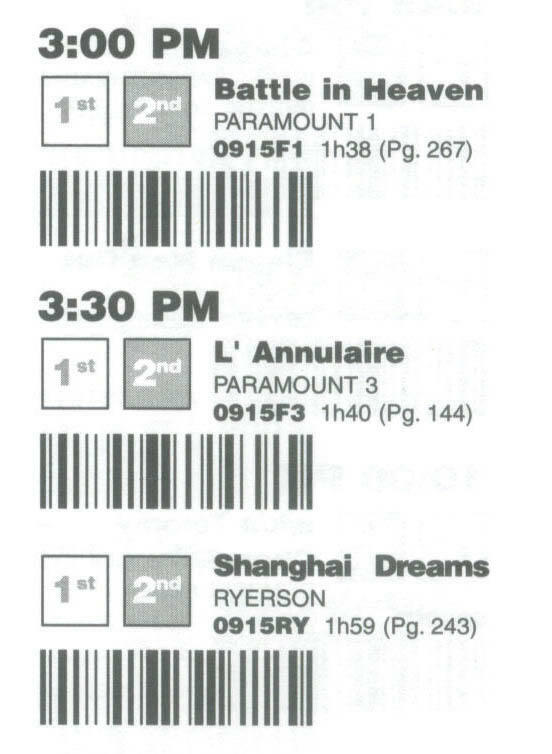 Passes generally allow you to see pre-selected films, while coupons allow you to participate in the advanced ticket lottery, so you can choose films before the festival starts. If you've never been to the festival before, the Festival Experience pass or the Globetrotter pass is a good way to see some films. You get three films with the Festival Experience pass, or six films with the Globetrotter pass, that the festival staff have pre-selected. If you work during the day, both passes have versions where all the films selected for you start after 6:00 PM on weekdays, or anytime on the weekends. After this Friday, your options for attending the festival are single gala tickets, which go on sale Saturday, August 26, or buying tickets during the festival itself, starting on Wednesday, September 6 until the end of the festival. Because of the popularity of the galas, expect most of the single gala tickets to get bought up on Friday, especially for the more popular films. There are 12,855 volunteers registered this year. They will work 69,959.5 hours among them. They speak a collective 44 languages, from Afrikaans and Arabic to Urdu and Yiddish, and everything in between. Jennifer is the most common name among volunteers, and has been for the last six years running. Don't forget to show your appreciation by giving a round of applause before each film when they run the trailer thanking the volunteers for their hard work. The festival released the complete list of films for this year's event. According to the press release, there are a total of 352 films, from 61 different countries. 91% of these films are either international or North American premieres. Note this list does not include descriptions of the films. However, the TIFF Reviews.com site (http://www.tiffreviews.com/2006) has compiled a list of all the films with a brief description. Click the "Film List" link at the top of the page. Family Gala pass ($50): You get two adult and two child tickets to one family gala film at Roy Thomson Hall. Family pass ($75): You get two adult and two child tickets to two out of the six family screenings. Daytime pass ($192, $157.50 for students and seniors): You get 25 tickets to redeem during the advanced ticket selection process or during the festival itself for any film that starts before 5:01 PM. Festival pass ($498, $431 for students and seniors): You get 50 tickets to redeem during the advanced ticket selection process or during the festival itself for any film. 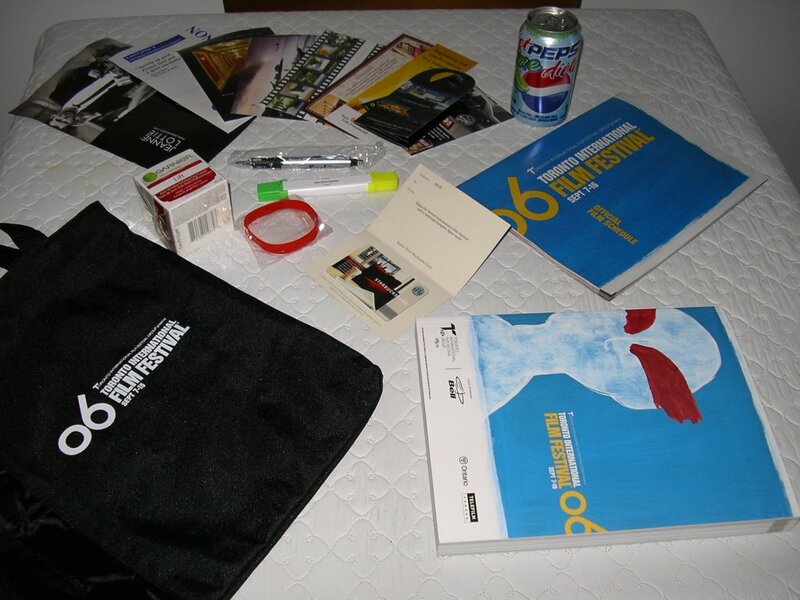 10-ticket coupon book ($154.50): You get 10 tickets to redeem during the advanced ticket selection process or during the festival itself for any film. Festival Experience pass ($67): You get a ticket to three films selected by festival programmers, with each film on a weekend or after 6:00 PM on weekdays. Daytime Festival Experience pass ($62): Same as the Festival Experience pass, except each film is on a weekend or before 6:00 PM on weekdays. Globetrotter pass ($110): You get a ticket to six films from around the world selected by festival programmers, with each film on a weekend or after 6:00 PM on weekdays. Daytime Globtrotter pass ($97): Same as the Globetrotter pass, except each film is on a weekend or before 6:00 PM on weekdays. Midnight Madness pass ($153, $100 for students and seniors): You get one ticket to each Midnight Madness screening. 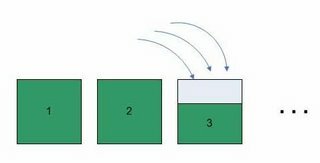 Wavelengths pass ($65): You get one ticket to each Wavelengths screening. Ticket for the Elgin closing night gala/party ($296): You get a ticket to the final premiere at the Elgin theatre and a ticket to the "everything included" Closing Night party. Ticket for the Roy Thomson Hall closing night gala/party ($296): You get a ticket to the final premiere at Roy Thomson Hall and a ticket to the "everything included" Closing Night party. Out of town package ($100): If you live outside of Toronto, the festival has a service to allow you to mail in your advanced ticket selections (if you have also bought passes or coupons). I've never used this myself, but it seems that you pay $100 on top of any passes or coupons that must be bought separately. Order by phone at (416) 968-FILM. Visit the year-round box office at: Manulife Centre, 55 Bloor Street West (main floor, north entrance), Monday to Saturday, 10:00 AM to 6:00 PM. You can only order passes and coupons until August 25, 2006. After that, you have to wait for single tickets to go on sale. While most people go to the festival to see the films, there's always a substantial number who turn out to see the celebrities. So how do you catch a glimpse of your favourite star? Most of the big commercial films with big stars have their festival premiere at a gala performance at Roy Thomson Hall. If you can get a ticket, great, but the galas are usually popular, so you may not be able to. But you can always line up outside by the red carpet and watch the stars arrive. 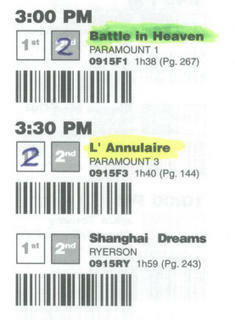 Each movie at the festival shows twice. Cast and crew will sometimes attend the first screening (and more rarely the second), and may do a Q&A after the movie. Once again, if you can't get a ticket, you can try waiting outside the theatre to see them arrive. Note that stars don't always attend, and if they do they usually arrive just before the movie starts, so they won't be lingering on the red carpet. Stars are also more likely to show up for movies which they have a substantial attachment to, i.e. films they have directed, produced, or written, or those which were more a labour-of-love. Many stars stay at hotels close to the festival. Inevitably word spreads if a star is spotted at one of them. Pretty much any upscale hotel in downtown Toronto will have someone of note staying there. MuchMusic (at Queen and John Streets) sometimes has events during the festival. Last year Kirsten Dunst and Orlando Bloom showed up for an event promoting Cameron Crowe's Elizabethtown, and Queen Street was blocked off to accommodate the crowds. Tuesday, August 22: The complete list of films for this year's festival will be available at the official site (http://www.e.bell.ca/filmfest/) after 1:00 PM. Note that this list may not contain descriptions of the films; often descriptions are not published until after the official programme guide is released (this year that will occur on August 29). 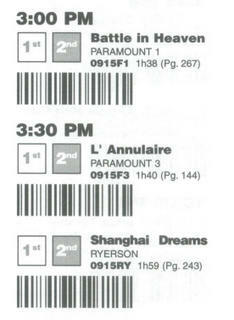 Saturday, August 26: Gala single tickets go on sale online (http://www.e.bell.ca/filmfest), by phone ((416) 968-FILM), and at the year-round Box Office (Manulife Centre, 55 Bloor Street West, main floor, north entrance, 10:00 AM - 6:00 PM). Because of the popularity of the galas, expect that all three options will be extremely busy that day. 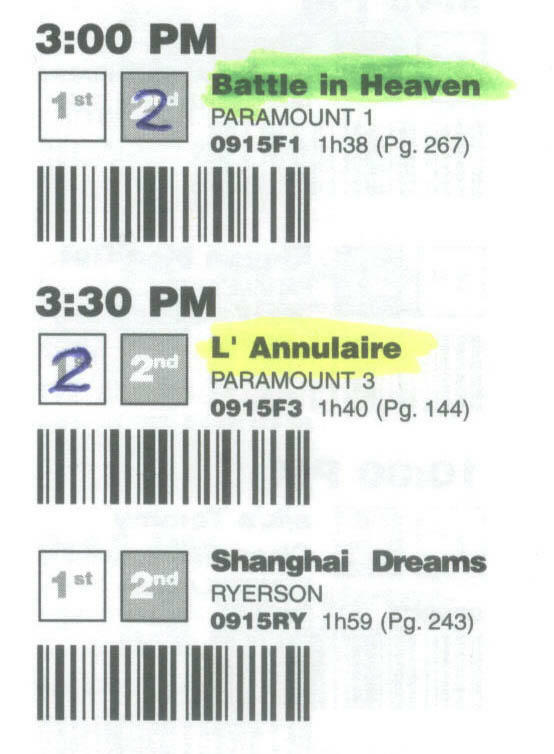 Tuesday, August 29: For those who pre-purchased a programme book, coupons, or passes, they can be picked up from the Festival Box Office (College Park, 444 Yonge Street, Market Level, south entrance). Note this location is different from last year. Order forms for those with coupons may be dropped off starting from this date; forms must be dropped off at the Festival Box Office. Friday, September 1: All coupon order forms must be submitted by 1:00 PM at the Festival Box Office in order to be eligible for the advanced draw. After the deadline, the festival will randomly draw a box number and starting processing orders. Monday, September 4: All advanced ticket orders can be picked up from the Festival Box Office. Wednesday, September 6: Advanced tickets go on sale for the general public at the year-round Box Office. If you didn't purchase a pass or coupons, this is the first day you will be able to buy tickets for the festival (excepting Gala tickets which went on sale August 26, but which are most likely sold out by this date). Thursday, September 7: The festival begins. The important thing to note with these dates is that certain events occur only at certain box offices. There are two box offices for the festival; the year-round Box Office at the Manulife Centre on Bloor Street, and the Festival Box Office at College Park on Yonge at College. Make sure you know which box office you need to go to before heading out, especially if you are lining up to purchase tickets. When purchasing tickets, expect everything to be busy, especially when things initially go on-sale. The festival website usually crashes or times out under the heavy load. The phone lines may also prove to be busy, so you may have to dial repeatedly until you get through. Also expect long line-ups at the box offices. Last year there were complaints by people in line at the box office that a lot of tickets were snapped up by people purchasing on the internet, but given the usual problems on the website, that isn't always a sure bet. Visit the festival website to keep up-to-date on any changes or additional options for purchasing.